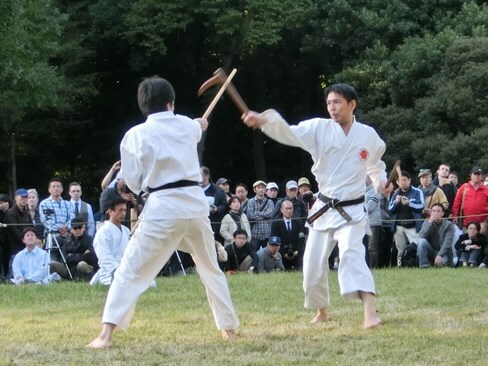 "THE SOCIETY FOR PROMOTION AND PRESERVATION OF RYUKYU CLASSICAL MARTIAL ARTS"
We opened celebration to mark the 100th anniversary of the birth of Gansho Inoue Hanshi on 2nd October 2016 at Nakano city, Japan. 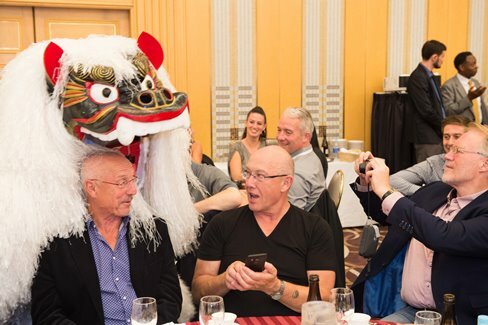 We could have the fruitful opportunities to enhance the exchange of good human relationship with the 240 members through the celebration. We would like to express our sincere thanks for all of best efforts to all supporters and all participants. 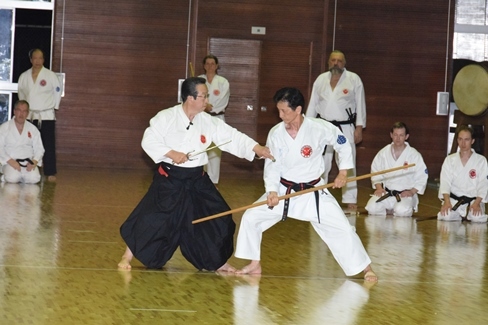 We opened the 10th international seminar from 29th September to 1st October 2016 at Nippon Budokan training center, Katsuura city, Japan. 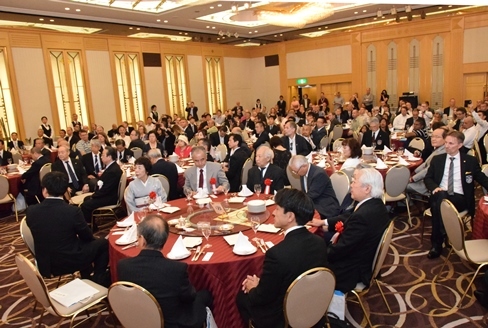 We could have the fruitful opportunities to enhance the exchange of good human relationship with the 200 international members. 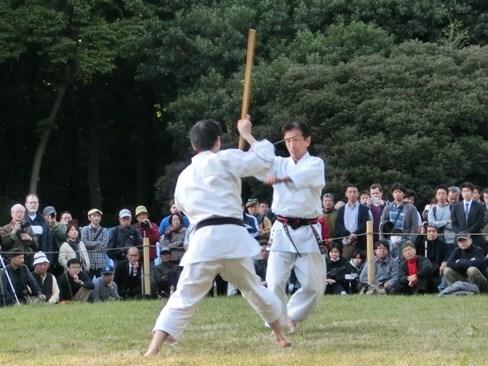 Our society joined demonstration for the dedication to Meiji Shrine held on 3rd November 2016 in Tokyo. 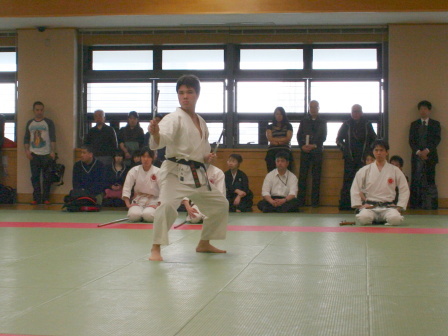 The following Kata and Kumite etc. 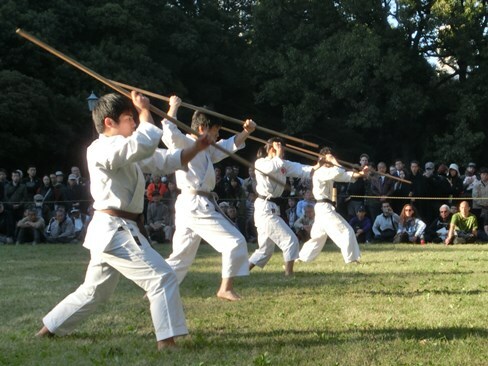 were demonstrated by Souhonbu & Shiunjuku kobudo club members. We would like to express our sincere thanks for giving us this holy opportunity. 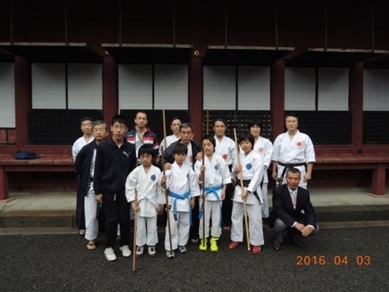 We have participated in the demonstrations for the dedication to Shimogamo shrine and Shiramine shrine on 4th & 5th May 2016. We thank the opportunities. 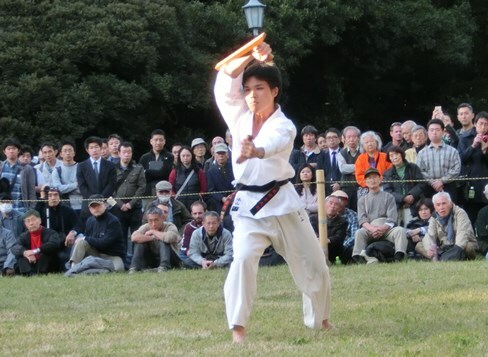 Our society joined Japanese traditional martial arts demonstration on 9th April 2016 at Asakusa in Tokyo. 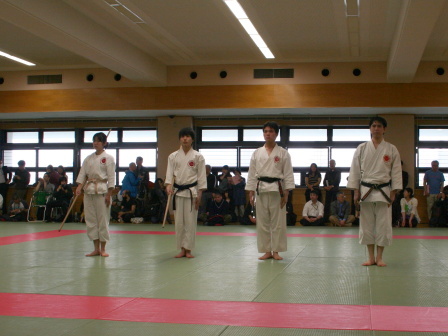 The following Kata and kumite etc. 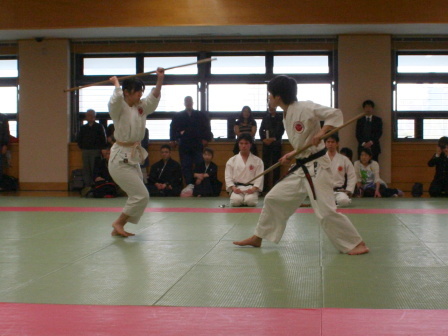 were demonstrated by Souhonbu dojo members and Meiji university Kobudo club students. 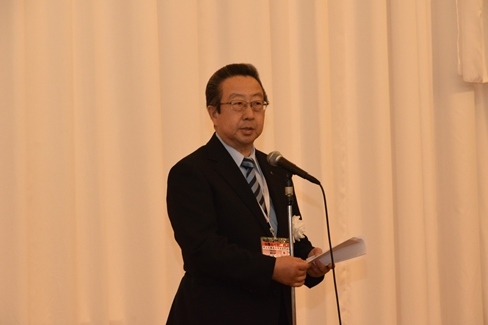 We would like to express our sincere thanks for giving us this fruitful opportunity. 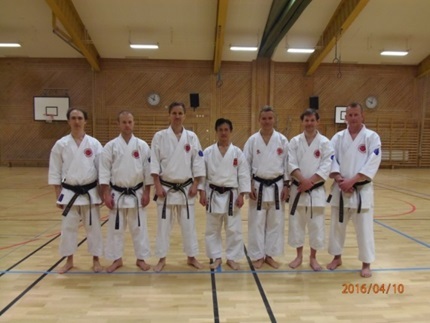 Shihan Toshio Okabayashi visited Sweden from 4th April 2016 to 10th April for Ryukyu Kobujutsu seminar hosted by Sweden branch. 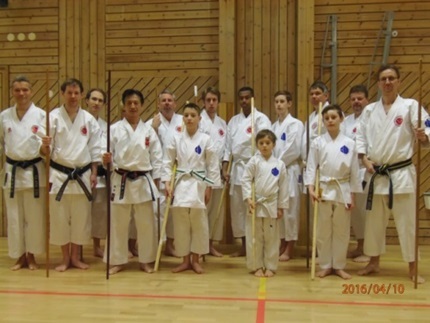 We appreciate all of the best efforts & arrangements by Mr. Matts Andersson (Seminar organizer, Branch chief (shibucho) in Sweden ), his students & all participants. 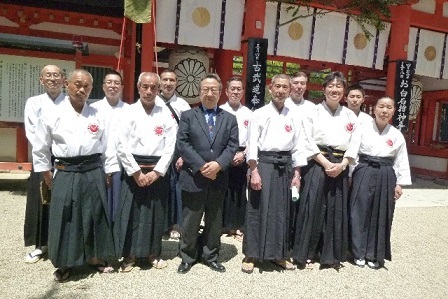 Our society joined demonstration for the dedication to the Shizuoka Sengen Shrine held on 3rd April 2016 in Shizuoka-city, Shizuoka prefecture. 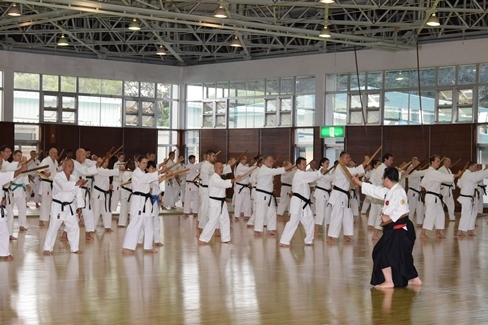 Our members from Shimizu-branch, Shunseikan-branch & Shizuoka-branch participated and demonstrated Ryukyu Kobujutsu Bo jutsu, Sai jutsu etc. 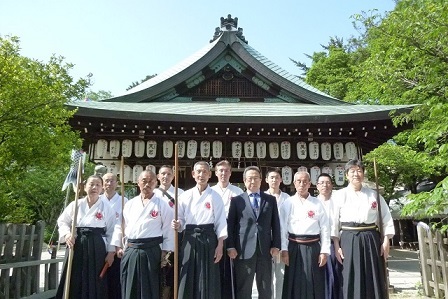 We would like to express our sincere thanks to Shizuoka Sengen Shrine for giving us this holy opportunity. 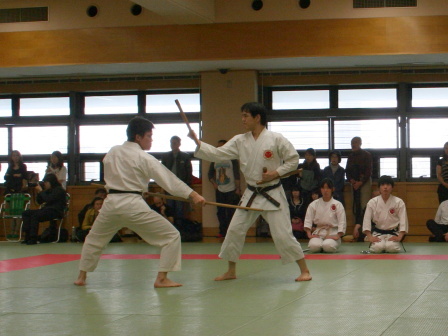 Copyright © 2014 Ryukyu Kobujutsu Hozon Shinko Kai and Yuishinkai All Rights Reserved.